The first week of August was for me one of the best experiences in my life. I was chosen with 4 other girls from Slovakia to represent our country and our movement eRko on the national camp, which started at the 31st of July and ended at 7th of August in Heist op den Berg in Belgium. 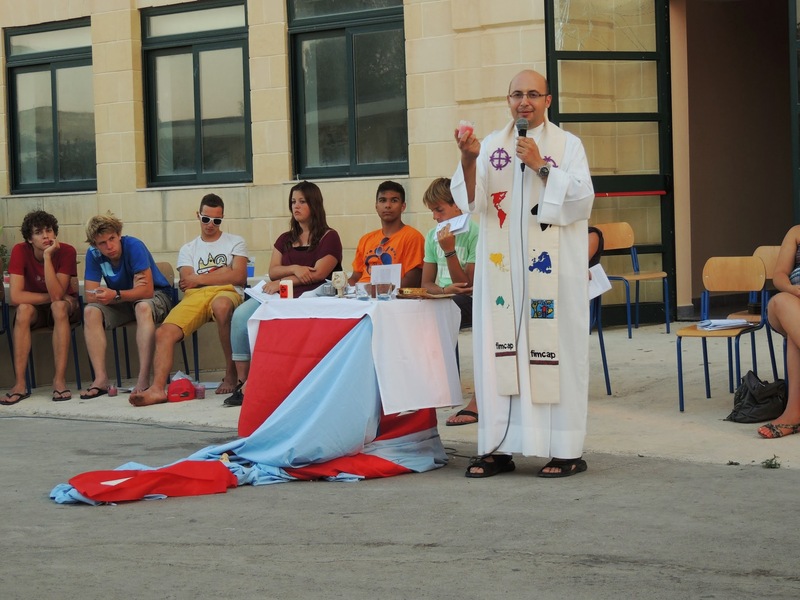 This one-week camp involved people from several countries such as Malta, Switzerland, Albania, Denmark, Spain, Slovakia and hosting Belgium. The number of all participants was more than 50. The topic of this years’ EuroCamp was Youth against bullying. The goal of this camp was to learn something about bullying and how to fight against it. Except this we also got to know each others culture and ways how our organizations deal with bullying. Together we found out few ways which can help us in the future if we have problems with bullying. The program consisted of different games, dances, creative workshops and discussions about bullying. Everyone brought home some new memories, souvenirs, new contacts, so many experiences and ideas. I would like to point out the international evening, where every group introduced their country and movement. As true, proud Slovaks we have offered to other participants our traditional food such as bryndza, korbáče, parenica, horalky and a lot more. Also we have tried famous danish cookies, swiss, spanish and albanian traditional food, belgian fries and interesting maltese food. EuroCamp, or any other international action is amazing experience. I would like to advise you to search for everything you need to know before going, for example food or sleeping. We have slept in tents and we weren’t prepared good enough for it. We weren’t the only one tough. Neither were Malties or Spanish participants ready for cold nights. The first night was horrible and we were thinking that we will not survive this camp. Oh, we were so wrong. The other nights were warmer and we slept very well. The weather was so beautiful the whole week which we are thankful for. Us, Slovak participants had never met each other before, but we got to know each other really quickly and a lot. I will never forget anybody from that camp, because everyone was special and interesting in different ways. I already miss them. To sum up I would like to thank everyone, who allowed us to go on this perfect meeting and I want to recommend EuroCamp to all of you who are reading this. Atmosphere of an international camp is unforgettable and unique. I hope everyone can be part of it one day.